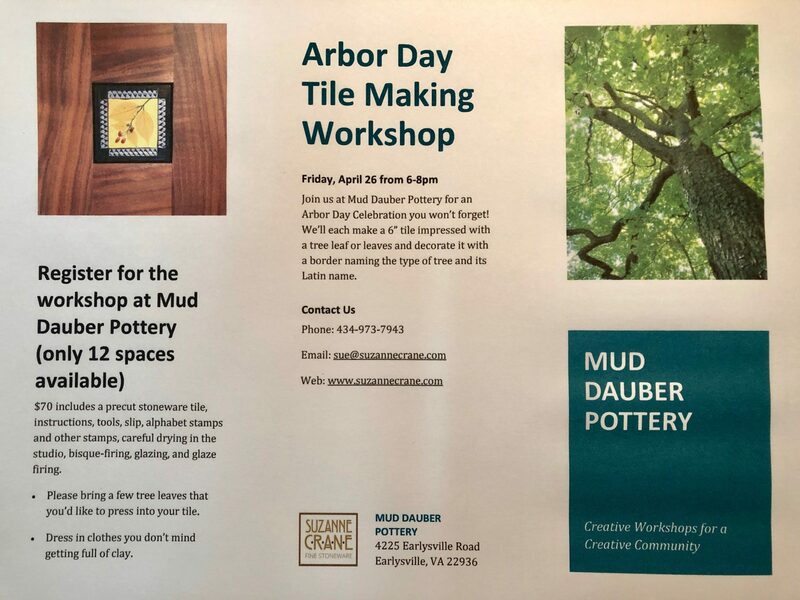 Join Suzanne Crane at Mud Dauber Pottery to celebrate Arbor Day by making your own tree-leaf tile. Friday, April 26, 6pm to 8pm. $70/person/tile. Only 12 slots available! 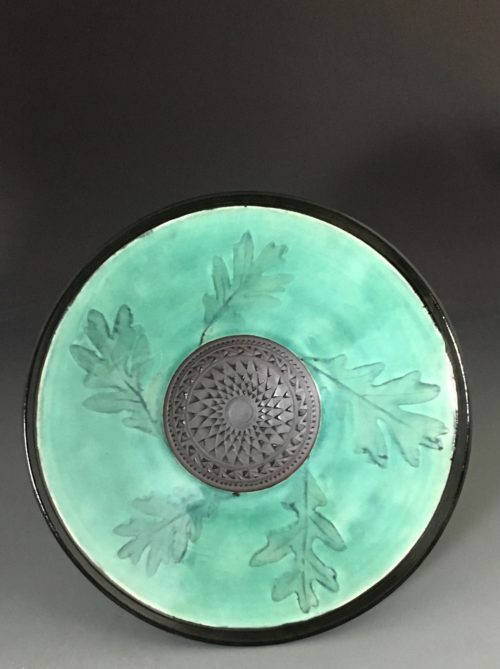 Bring a couple of leaves from your favorite tree or trees, and Suzanne will provide you with a pre-cut 6″ wet stoneware tile, then show you, step by step, how to make a fossil-like impression (and a good composition) of your leaf or leaves within a border on your tile. 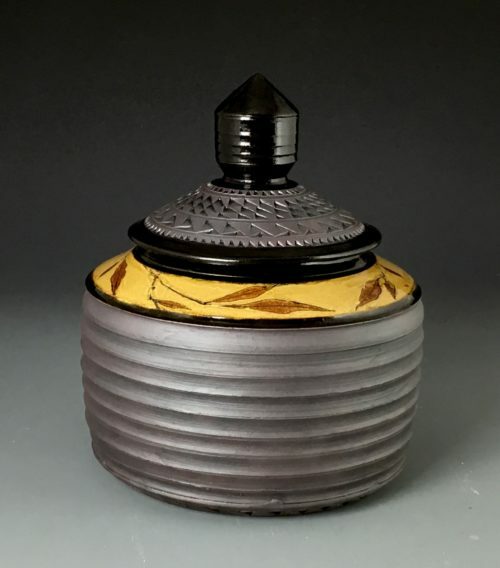 Then you will brush a porcelain slip over your leaf, let it dry a bit, pull the leaf off, and continue work on the border…which might include stamping the Latin name of your tree, or some other pattern on the edge. 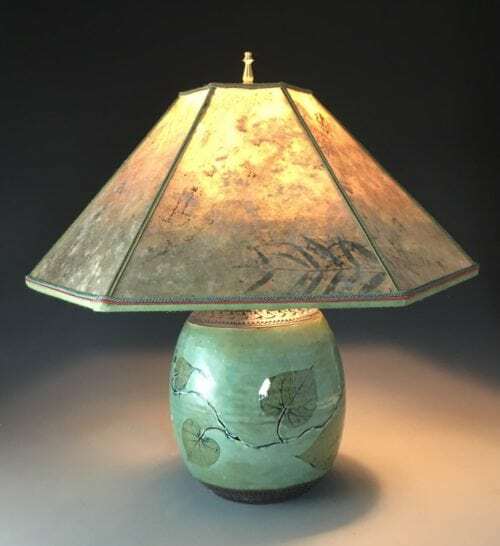 The workshop includes instruction, a raw tile, slip, texturing tools, alphabet stamps, sheetrock for drying, drying service, bisque firing, glazing and glaze firing, and a cup of wine. You will end up with a complete tile glazed in your choice of color (among our glazes). If you’re interested in a family-style workshop on Saturday, April 27 please call the studio at 434-973-7943 to let us know. We will compile names, and if there is enough interest, hold another Arbor Day celebration/tile-making session on that day as well.